Item # 314660 Stash Points: 5,495 (?) This is the number of points you get in The Zumiez Stash for purchasing this item. Stash points are redeemable for exclusive rewards only available to Zumiez Stash members. To redeem your points check out the rewards catalog on thestash.zumiez.com. Get rid of your old, worn out board and grab James Brockman's latest pro model, the Outrage 8.25" Skateboard Deck. Offering a traditional popsicle shape, medium concave and a menacing graphic of what looks to be a wolf in a somewhat prairie dress, this deck provides a unique artistic touch to your skate complete. 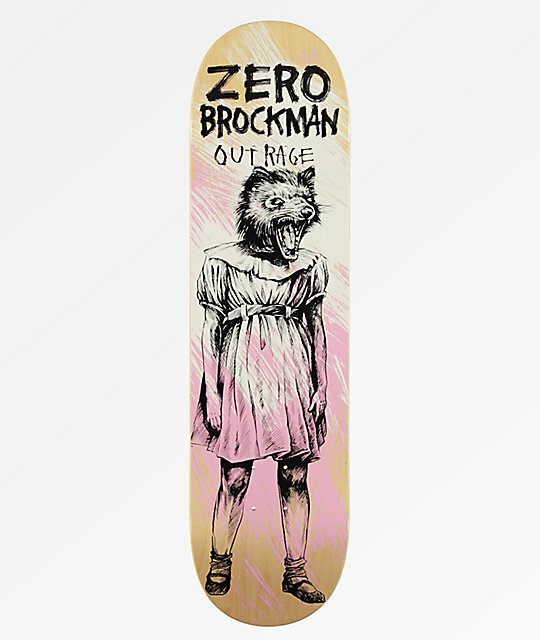 Brockman Outrage 8.25" Skateboard Deck from Zero. 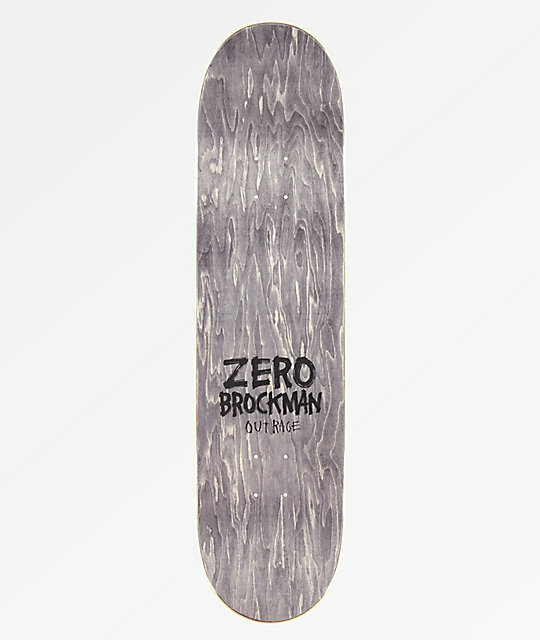 Signature James Brockman pro model deck. Medium concave and medium sized wheel wells. Long and moderately pitched kick tails with a slight taper.